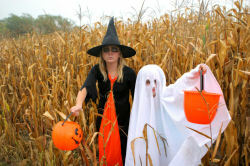 Halloween is now big business, and is a growing holiday in much of the western world but the biggest market is the US. It is the second largest commercial holiday in the US with Americans spending an estimated $6.9 billion annually on Halloween (quite a few pumpkins there then). Trick or Treaters pictured left. 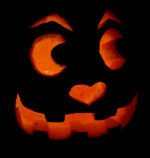 Halloween’s actual origins date back to the ancient Celtic festival of Samhain (pronounced sow-in). The Celts celebrated their new year on November 1. Samhain marked the end of summer and the harvest season and the beginning of the dark, cold days of winter. Halloween Pumpkin and Seasonal Vegetables pictured left. Celts believed that on this night, the boundary between the living and the dead were opened or weak. Because of this, the dead were said to roam the earth freely. During the Celts celebration they wore costumes and masks, which were said to hide their appearance from the roaming dead. The Celtic festival came under many influences the main being the rise of Christianity. All Saints Day was designated in the seventh century. The celebration was also called All-hallows or All-hallowmas (from Middle English Alholowmesse meaning All Saints’ Day) and the night before it, the night of Samhain, began to be called All-hallows Eve and, eventually, Halloween. 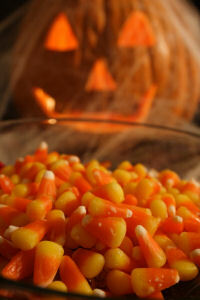 Jack O Lantern and Sweets pictured right. The growth and character of Halloween in the US is attributed to the various different European immigrants bringing their traditions notably from Ireland and England. Halloween evolved from a scarey festival to a community festival with whole towns becoming involved. Jack o Lantern pictured left. However, it has kept some of its old origins such as dressing up and ‘trick or treating’ which supposedly dates back to the early All Souls’ Day parades in England where poor citizens would beg for food and families would give them pastries called “soul cakes” in return for their promise to pray for the family’s dead relatives. One tradition which continues is that of decorating and with the growth of the holiday there is a great variety of Halloween Giftware and Collectibles available. It has also given rise to the new genre of Halloween Collecting with collectors collecting Vintage Halloween Collectibles, or ornaments, or pottery, or dolls, or teddies, well the list is very long. 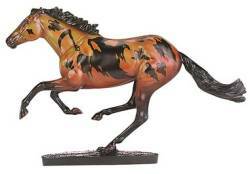 Breyer, the leading manufacturer of plastic, porcelain, and resin model horses, animals and accessories have launched Phantasma, the fifth horse in their Halloween series. Phantasma is pictured left. The variety means that there is something for everyone, and even collectors who do not collect Halloween find the influence of Halloween in their collecting interest such as Halloween Beanies, and even model horses. 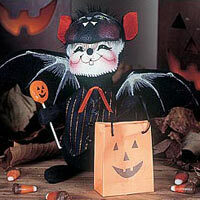 Annalee -The first Annalee Halloween mouse appeared in 1978 and since then the Halloween theme has always featured in the Annalee collections. Trick Or Treat Bat Mouse is pictured right.